We are a family owned and operated business. We offer 21 reasonably priced ground floor rooms including smoking and non-smoking units, full kitchen units and pet friendly rooms. All of our rooms are equipped with a phone, coffee maker, mini-fridge (in non-kitchen), microwave, free WiFi and cable TV with 42” HDTVs. We offer suites with separate bedrooms and have one apartment sized suite featuring one queen-sized bed in the bedroom, two double beds in the living room, and an HDTV in each room. 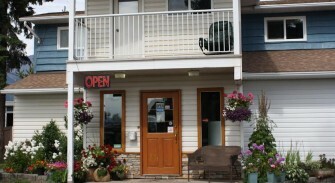 We have plenty of room to park boats for fishing season and are close to many community amenities. Only a few minute walk from parks and the local swimming pool.